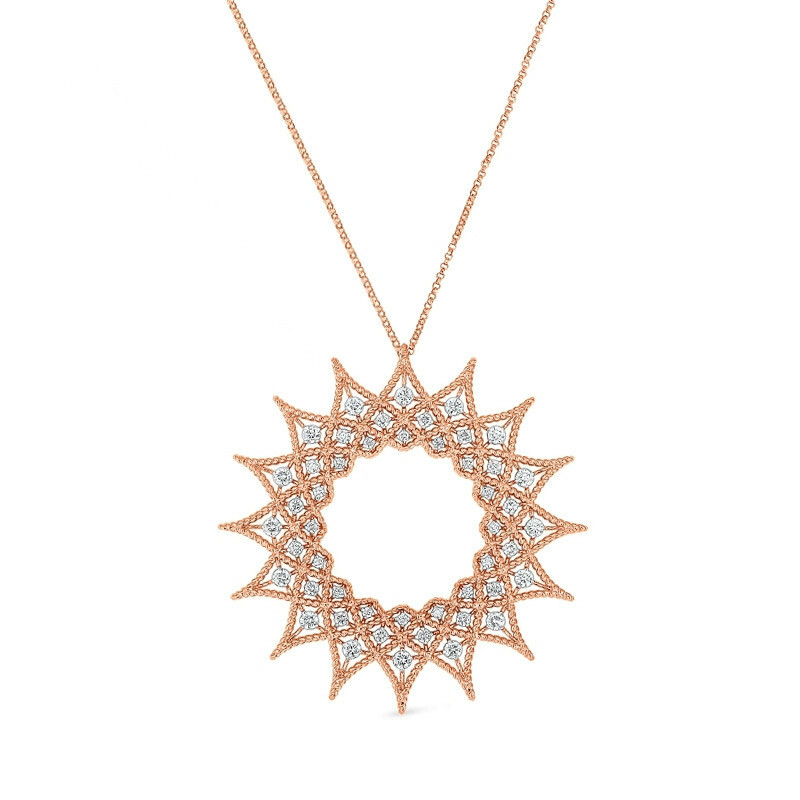 This gorgeous Roberto Coin starburst pendant necklace, from the Roman Barocco collection, features an sophisticated touch that will transform your elegant style. Resembling the sun and its warm radiance, we admire the intricately crafted 18kt rose gold, completely embellished with sparkling diamonds. Fall in love with the timeless craftsmanship and romantic, borderless imagination to life that Roberto Coin represents in each piece of jewelry.